The Mars Society is pleased to announce that representatives of Hewlett Packard (HP) will carry out a demonstration of their virtual reality mission to the Red Planet at the 20th Annual International Mars Society Convention at the University of California Irvine September 7-10. In a special plenary talk on the morning of September 8th, HP will present their new Mars mission VR capabilities and describe a major Mars settlement STEM initiative that they will be doing with Mars Society cooperation and support over the next year. 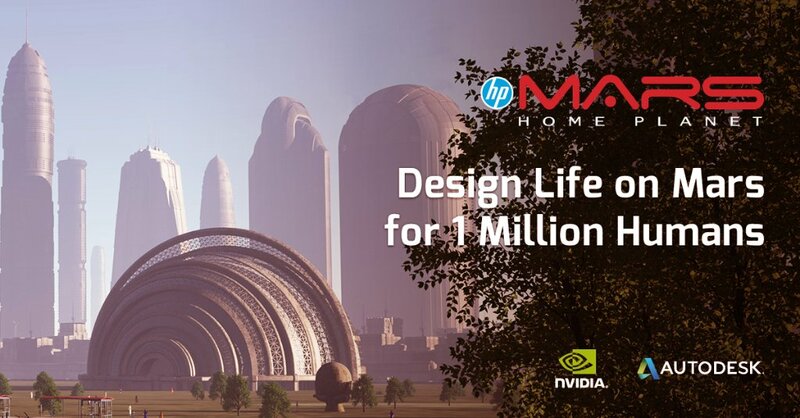 The scheduled talk is entitled: "HP Mars Home Planet: Co-Creating a Utopian Civilization on Mars for 1 Million Humans in VR." After the presentation, conference participants will have a chance to experience the HP VR Mars mission themselves and have an opportunity to sign up to volunteer to take part the related STEM effort. Commenting on the presentation, Mars Society President Dr. Robert Zubrin said: "I'm not one to be easily impressed by the latest thing from the cyber world, but I've experienced Hewlett Packard's VR Mars mission, and it is truly extraordinary. This is something not to be missed." For full information about the 2017 Mars Society Convention, including registration details and the program itinerary, please visit our web site (www.marssociety.org).